The Good Shepherd Knights of Columbus Council participates in their State Raffle Program each year. This is part of our annual fundraising efforts to support our charitable works. This year’s raffle has several large cash prizes to the lucky winners. Tickets are $5 each and can be purchased from members of the K of C who can be easily identified by their BLUE NAMETAG which they wear at activities around the Parish. Thank you in advance for always supporting our Programs. and their families to recite the rosary at 10:45am. Our next fifth Sunday is Sunday, March 31. Please join us at 10:45am to recite the Rosary. ​We also hope that if there are any men 18 years or older interested in joining the Knights, please request a membership form from any of our members. Knights of Columbus has always been an organization dedicated to the well-being and support of Catholic family life. The family is the first and primary place where we experience and are formed in our Catholic faith. By building upon our current programs and activities, the Knights of Columbus continues to promote the family as a ”domestic church” where husbands and wives, parents and children, grow in their knowledge and practice of the Catholic Faith. In order to perform its important mission of evangelization, each family needs to find support in the sacramental life of the parish. Knights of Columbus councils have always responded to the most urgent needs of the Church, particularly through charitable and social outreach. In order to support the evangelization of family life today, our councils must be more fully integrated into our parishes. As the world’s largest Catholic fraternal and family organization, we have a responsibility to dedicate our time, talent and resources to ensuring that our parishes are beacons of the new evangelization. To that end, the Good Shepherd Council of the Knights of Columbus has pledged to support the initiative to “Build the Domestic Church”. Through the kindness of a generous donor, the Council has placed an Information KIOSK in the Gathering Area of the Church which has brochures, pamphlets, and booklets to support the Parish Family, deepen our Catholic Faith and continue the mission of Evangelization in our Community. Please feel free to use the resources in the KIOSK for yourselves, families and friends. ​CONGRATULATIONS!!! To our newly elected Council and 4th Degree Officers for the coming fraternal year, 2017-18. Thank you to those who were re-elected as well as those joining our Council leadership. The Installation of Good Shepherd Council #8857 and Fr. Bumann Fourth Degree Officers was held on Sunday, July 9th. A catered luncheon followed the ceremonies. Our Council Officers were installed in their new positions by our District Deputy Paul Tomacelli and Deacon Pat Snyder. Our Assembly Officers were installed by our District Master Dave Onofrio, Deacon Pat Snyder and Father Joe Korkrum. Grand Knight: Jim Coyle, Jr. Faithful Navigator: SK Jim Coyle, Jr.
Our Council meets the first Thursday of each month at 7:00 PM and the Assembly meets the second Sunday of each month at 3:00 PM. If you haven’t been receiving our e-mails please call Jim Coyle at 609-332-3699 or e-mail jcoylejr@nc.rr.com. TECHNOLOGY: Thanks to the efforts of Dennis Villanueva and Gerald McGrath III (Gerry's son) we're finally moving into the 21st century with a new web page, Facebook page and email address! These are works in progress, so let us know what K of C info is important to you and we'll work it into the layout. 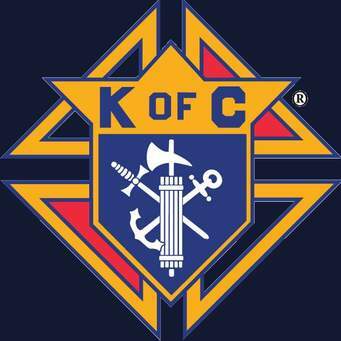 You can find us on Facebook at Knights of Columbus #8857, or via email to koc8857@yahoo.com.